At some point in our musical careers we all decide we want to achieve “perfect” technique because we think it will make us better musicians. So we set out to practice the same exercise over and over and over… until we get it just right. But once you’ve done this, does that mean your technique is perfect? What have you given up in order to put in all this practice (because it’s not usually very fun)? How long do you have to practice before you’ve mastered your technique? 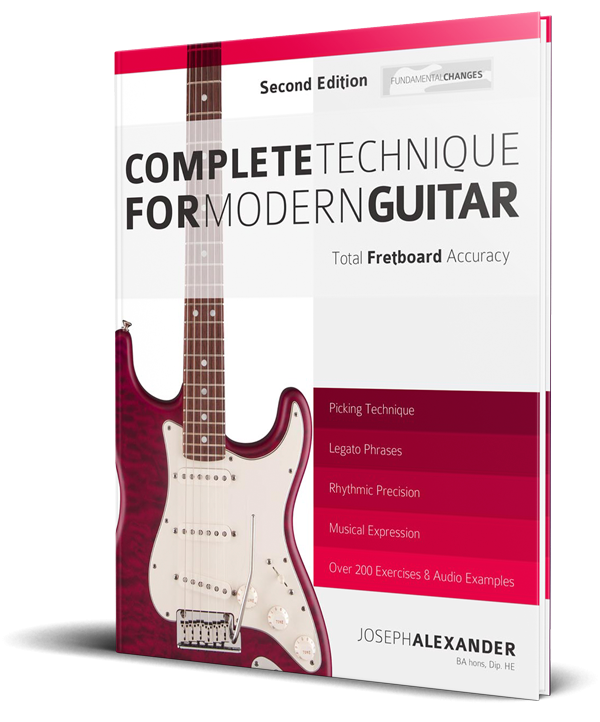 Discover a different way to learn technique for Total Fretboard Accuracy (that doesn’t take years to achieve): Complete Technique for Modern Guitar. 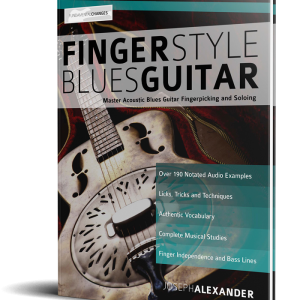 It will help you easily develop speed, fluency, rhythm and expression to boost your playing and unleash your inner creativity. Don’t Know what to Practice for the Greatest Benefit? 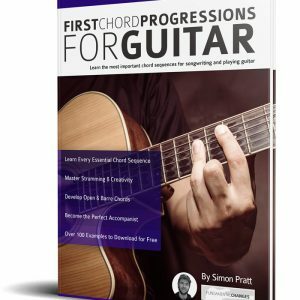 There are hundreds of sources of information about ‘correct’ guitar technique these days and often students find themselves spending more time than they need to chasing more and more difficult, obscure exercises to perfect their technique. 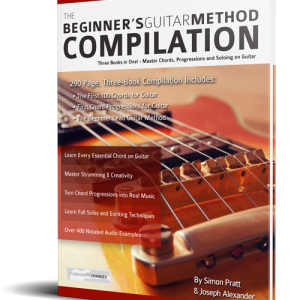 Complete Technique for Modern Guitar destroys the myth that excellent guitar technique takes years to master. 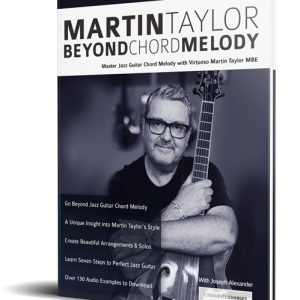 Instead it focuses only on the most beneficial, game changing exercises that will develop your playing fast, while leaving time for you to apply each exercise in a musical context. The book begins with a short question; How much technique do you need? You are then free to decide which of the 200 in depth exercises will take you where you want to go. 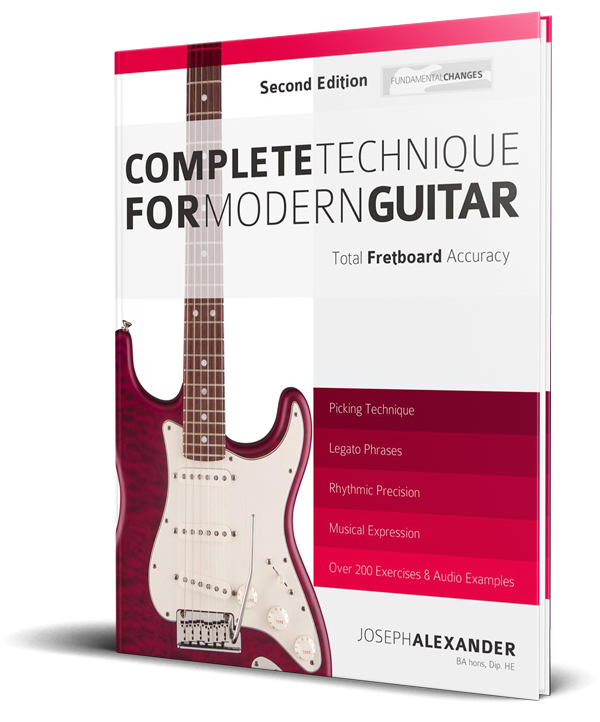 The point of technique practice is to allow us to express ourselves musically – Complete Technique for Modern Guitar helps you to keep that goal in mind while developing the perfect technique for what you want to play.